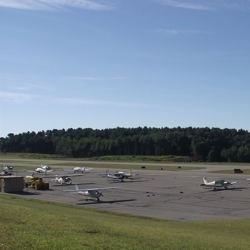 It is with great excitement that we announce Hoyle, Tanner’s contract with the Connecticut Airport Authority (CAA) for Avigation Easement Acquisition, Airspace Obstruction Removal and Lighting Design Consultant Services for six CAA-owned airports. The CAA seeks our services to maintain clear, navigable space surrounding these airports on an as-needed basis. Hoyle, Tanner and the CAA have worked together on various projects, including wildlife deterrent fencing and taxiway rehabilitation. We look forward to continuing our relationship with the CAA. With a team of qualified and enthusiastic Hoyle, Tanner employees, we are excited to aid in the safety and success of these airports.